These are fantastic for Spring. Love! These are all so lovely! 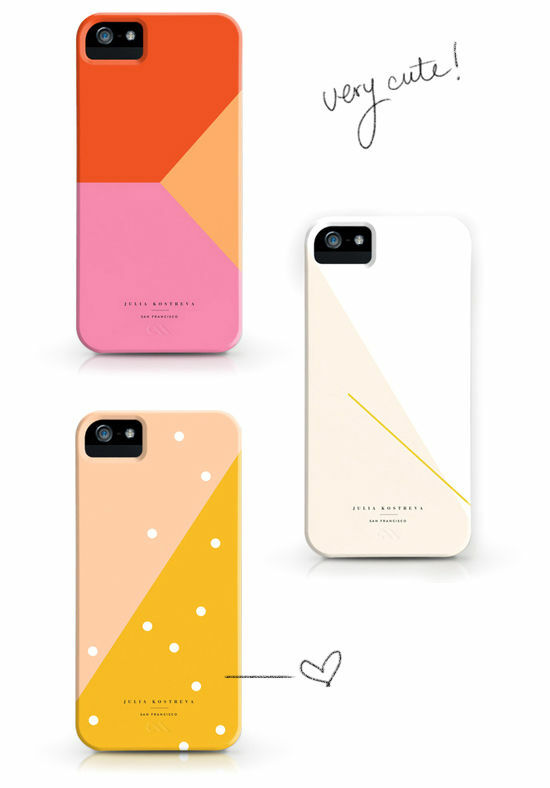 These are fantastic AND I’m on the market for a new iPhone case… great choices! why yes i do! what great choices! i’m always looking for a new one 😉 i’ve been thinking about making my own! Those all are amazing, need one! I dropped my phone a few weeks ago and cracked my case. I could totally go for a new one and I’m loving what I see!!! Decisions, decisions…. There’s so a lot of beautiful case, it’s hard to choose just one ! these cases are adorable .. i’ve been on the hunt for cute but simple cases like these ! LOVE! as soon as I get an iphone 5, I’ll be all over this. I have a calendar from Julia Kostreva and it’s one of my fave things!! These are awesome! LOVE the one with the polka dots. I’m a total sucker for any kind of polka dot. Happy colors! I wish there were more ipod covers out there. So cute!!! How’s a girl to pick just one?? Totally digging the orange, pink and sherbet combo right now! around giving greatest safety against every Spoil. Sometimes, the process of inserting these special codes is given in such a manner that they appear nothing more than a sign language. which pretty much rules out sexting, parents will be relieved but seriously, a truly portable communication device should have included a webcam. forget this site and give it a glance regularly. Grosse discount: A protective situation iPhone 6 certified to Government Common _ 11.